Our White Plains intellectual property lawyers routinely handle a wide variety of intellectual property matters, including trademark licensing, filing, prosecution, and infringement matters; copyright advice and licensing; advice in connection with use of trademarks (including tag lines) and copyrighted materials in advertising and promotion (including use on websites and social media), intellectual property litigation, and advice and litigation involving slander, libel, invasion of privacy, and interference with the right of publicity. We have specific expertise in various aspects of intellectual property and media law, including conducting trademark and copyright searches, protecting and enforcing trademarks, domain names and copyrights, developing merchandising and branding strategies, and assisting clients in acquisitions of rights. We handle trademark prosecution proceedings within the United States Patent and Trademark Office and have litigated intellectual property, libel, slander, privacy and other media law disputes. Serving clients in White Plains and beyond, our intellectual property attorneys also work with marketing professionals on a variety of issues, including determining the availability of names, logos and titles. We also conduct prepublication legal review of books, magazines, films and other creative works. We handle drafting and negotiation of licensing agreements, contract and releases. Copyright protects the authors of original works including literary, musical, dramatic, artistic, and other specific works, be they published or not. The 1976 Copyright Act protects copyright owners from unauthorized reproduction or distribution of their copyrighted works work. Copyright protects the form of expression, not the subject matter of work. For example, a description of a machine could be copyrighted, preventing others from unauthorized use of the description; however, others could write their own description. People are copyright infringers if they violate the exclusive rights of a copyright owner. Copyright owners can recover damages from the infringer. Federal district courts can issue orders or injunctions to prevent or restrain copyright infringement and to order the impoundment and destruction of infringing copies. Trademarks may be a name, word, symbol or device used to indicate the origin of the item and to differentiate it from other items. Servicemarks differ from trademarks because they relate to services rather than products. The words “marks” or “trademarks” are often used to refer to either trademarks or servicemarks. Others may be prevented from using a similar mark, but this would not prevent others from making the same goods or from selling the same goods or services under a clearly different mark. 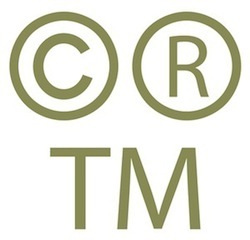 The registration of the trademark can often be a confusing and difficult process best left to our attorneys. The trademark registration process can be difficult to understand. Trademark owners [can] protect their intellectual property in a variety of ways. Sometimes trademark protection is the only real asset of a small company. You should contact the White Plains intellectual property attorneys at Klose & Associates to analyze and protect such rights. Defamation can be spoken or written words reflecting false and negative comments about the reputation of a living person. Slander is oral or spoken defamation, while libel is defamation in the written form. For example, Klose & Associates represented a local day care center in a fierce dispute with its residential neighbor. Among other malicious acts committed by the neighbor, he called Child Protective Services and falsely reported that the day care providers were leaving the children unsupervised and creating an unsafe environment for the children. After a lengthy trial, the daycare providers were successful in many of their claims, including claims for punitive damages. An individual's name, likeness, and voice cannot be used without permission in advertising or on products. This right is known as a right of publicity. Claims of this sort are combined at times with Lanham Act claims, related to false or misleading statements implying endorsement of or affiliation with products or services. If you think that your likeness has been improperly used to advertise a product, you should contact an intellectual property lawyer in the White Plains area to consider your rights and remedies.